A long lay off and time to reflect on the indoor season has Eastern track and field ready to begin the outdoor season this weekend. The team competed well throughout the indoor season as the men’s team placed second in conference and the women’s placed third. Last outdoor season, the women won their second consecutive outdoor championship and the men earned third. The opening meet of the outdoor season will be at Southern Illinois Carbondale and will host Eastern, Loyola-Chicago, Western Illinois, Southern Illinois Edwardsville, Milwaukee, Indiana State, Illinois, Tennessee-Martin, Purdue and Bradley. 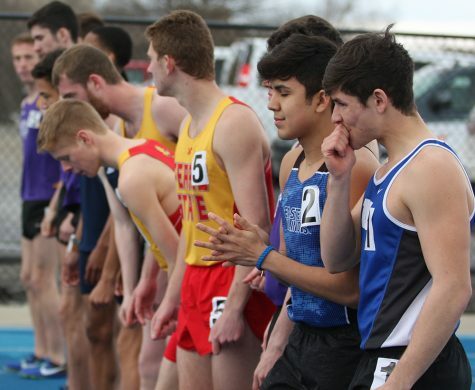 With fresh returning athletes for the outdoor season, the team is poised to have a successful outdoor track and field season. 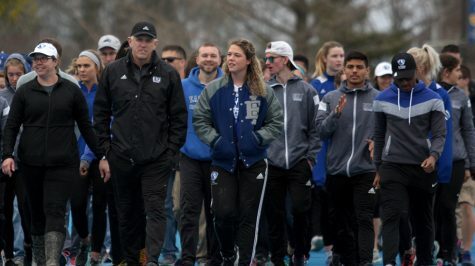 Some familiar faces that will be returning to compete in the outdoor track season include distance runner redshirt seniors Riley McInerney, sprinter Jonathan Boey and on the women’s side middle distance runner Anita Saffa. Those runners did not compete in the indoor season due to expired eligibility. In the outdoor season last year, McInerney ran in the NCAA West Regional in the steeplechase, Boey was a three-time All-OVC sprinter that is returning after a year off and Saffa was second team All-OVC last season on the 4×100 relay team. Last season Eastern, competed at this same meet to open the season and walked away with a handful of top five finishes and three first place finishes. The whole team is excited and prepared to face the outdoor season, with a long recovery period and new runners to help them win another conference championship. “We are ready and hungry to start the outdoor season. We had a good indoor championship, but it was hard to not come out with a win,” coach Erin Howarth said. Senior Haleigh Knapp had a stellar indoor season that ended with her earning Female Field Athlete of the Year, and competing at indoor Nationals with a Second-Team All-American nod. In outdoor competition last year, she won the high jump in the OVC Championship and jumped in the NCAA West Regional meet. Returning outdoor All-OVC competitors for Eastern also includes seniors Nyjah Lane and Darneisha Spann from the 4×100 relay team, as well as senior Davion McManis and junior Brandan Lane that were part of the men’s All-OVC 4×100 relay team. 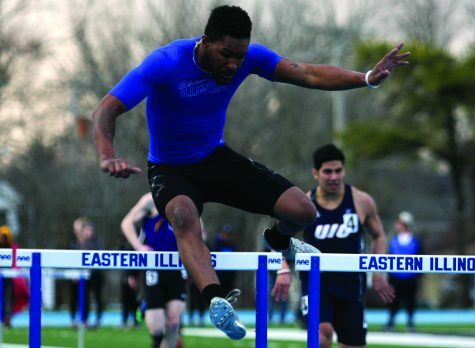 The first outdoor meet of the season will take place Saturday at the Bill Cornell Classic at Southern Illinois Carbondale. Then the Panthers will return home to host the Big Blue Classic on March 30-31.